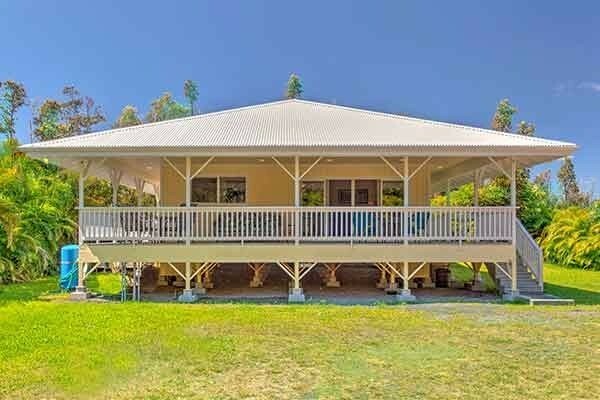 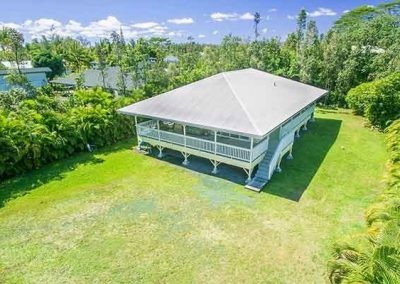 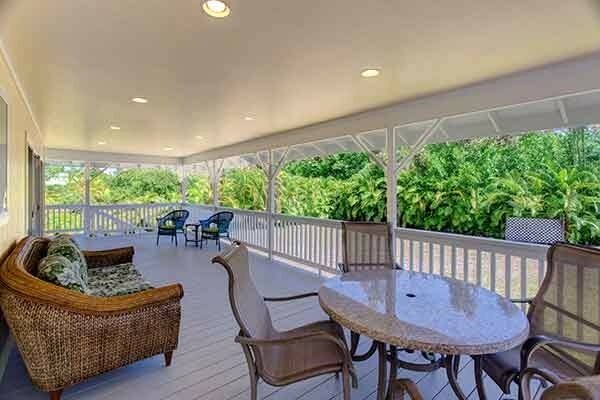 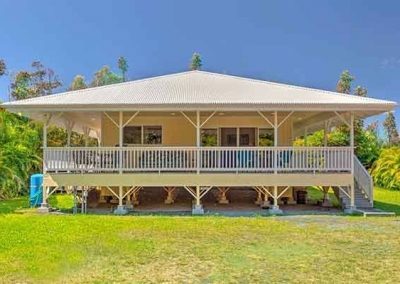 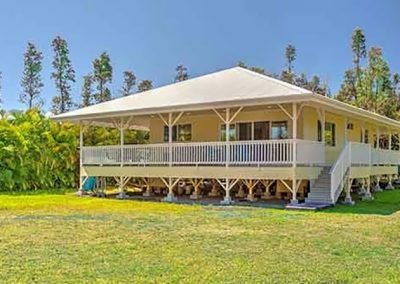 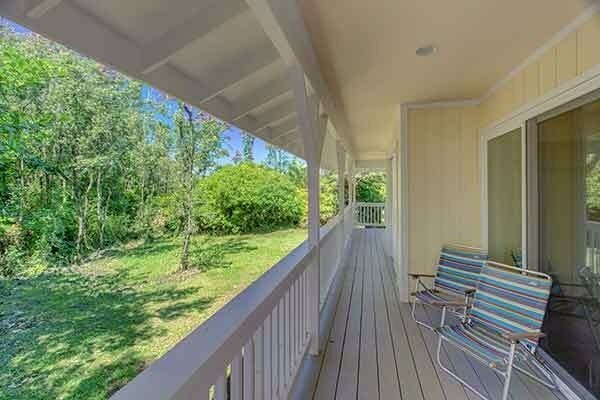 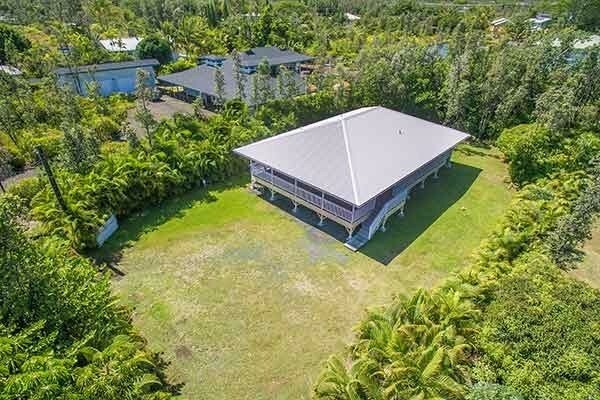 Enjoy East Hawaii at it best from this plantation-style home, built in 2014, located in the coastal community of Kaloli Point in Hawaiian Paradise Park. 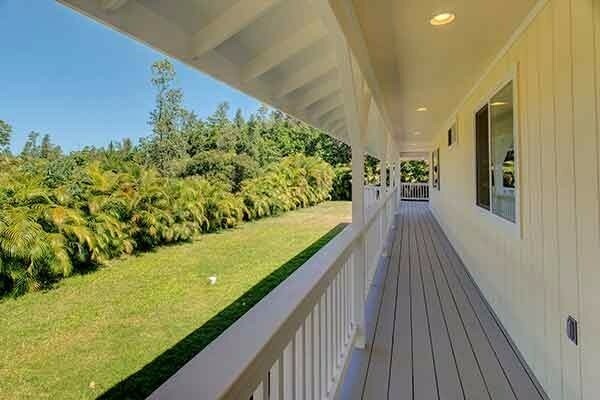 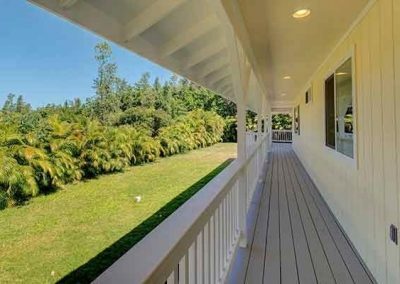 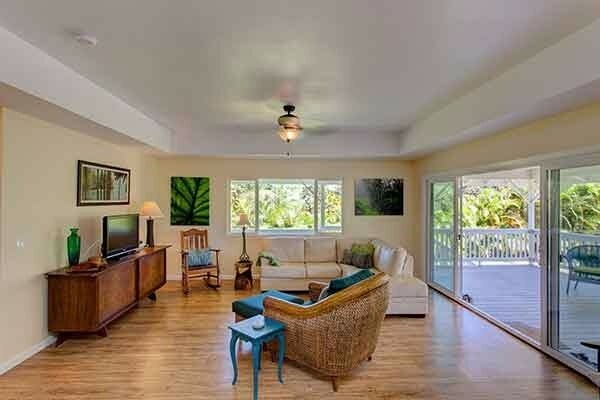 This home nestled into a tropical property, surrounded by palms for privacy, is a successful vacation rental and just a short distance away from the Pacific Ocean. 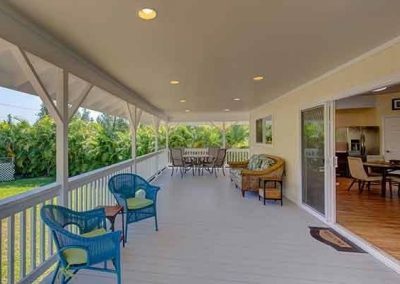 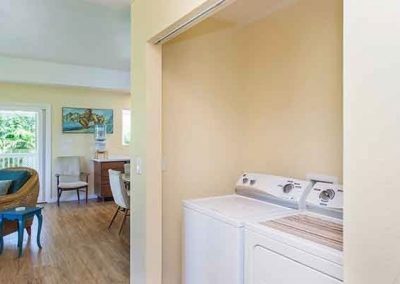 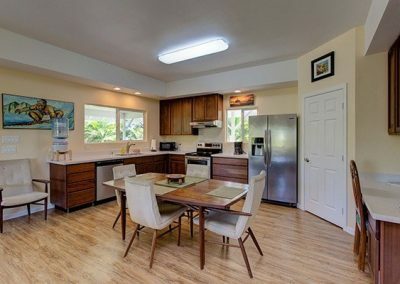 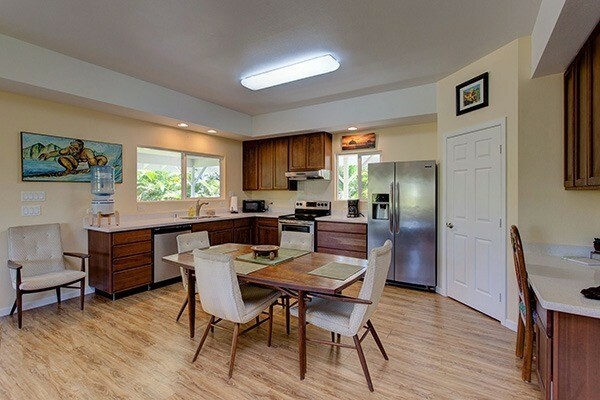 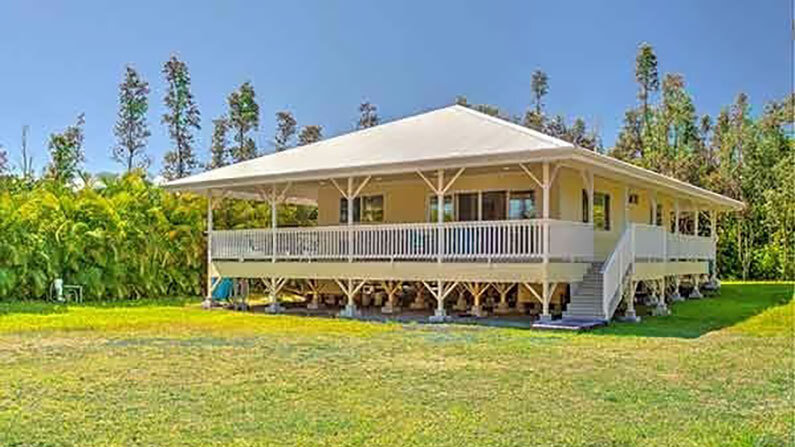 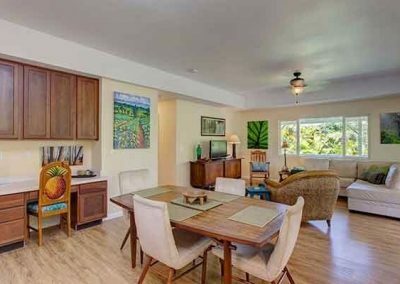 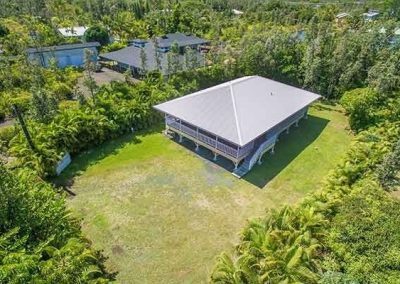 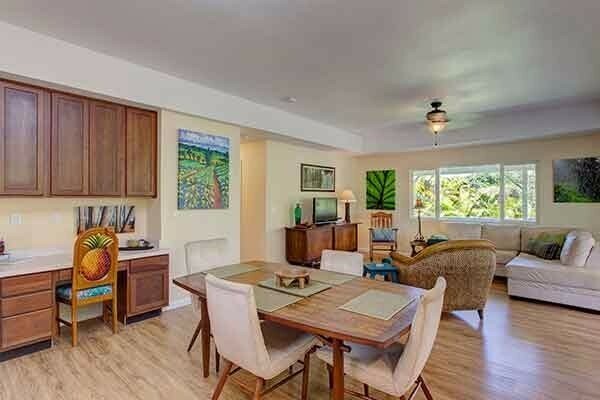 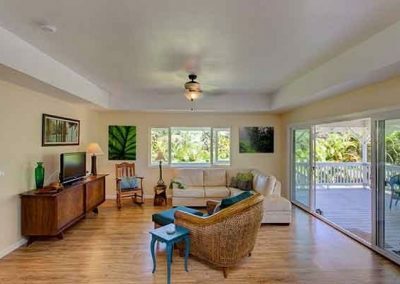 This home has almost 2000 square feet of indoor out door living with 1008 square feet of enclosed living space was built in true Hawaiian style to take advantage of the trade winds East Hawaii is famous for. 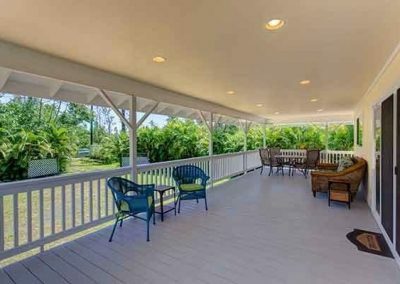 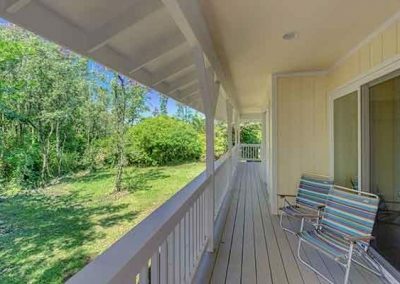 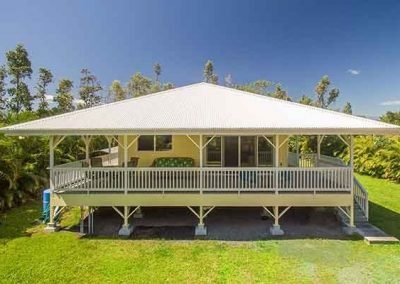 Built on pier and post, you walk up the steps onto the large front lanai which has room enough for chairs, tables, BBQ and more. 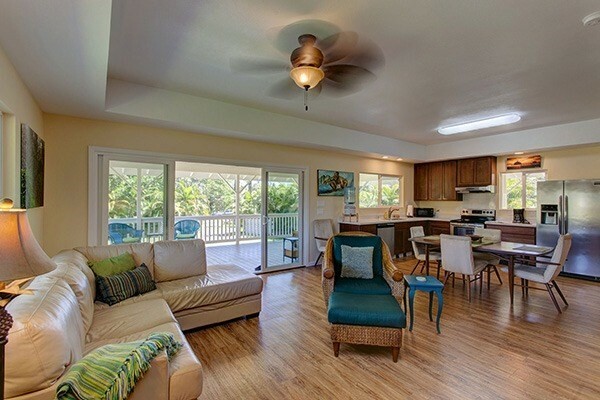 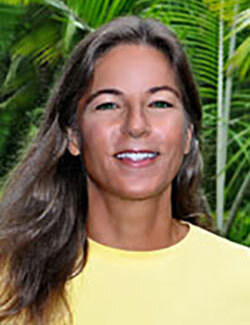 During those quiet evenings you’ll spend out on the lanai you will hear the wonderful sounds of the ocean. 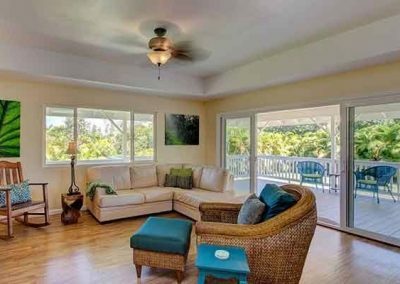 As you enter the home through the double glass doors you come to the living area with its large windows which catch the morning light and great ocean breezes. 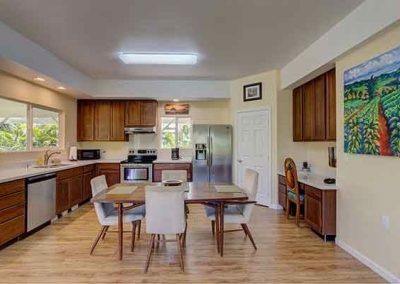 The open kitchen has quartz counter tops, stainless steel appliances, beautiful wooden cabinets, pantry and built-in desk. 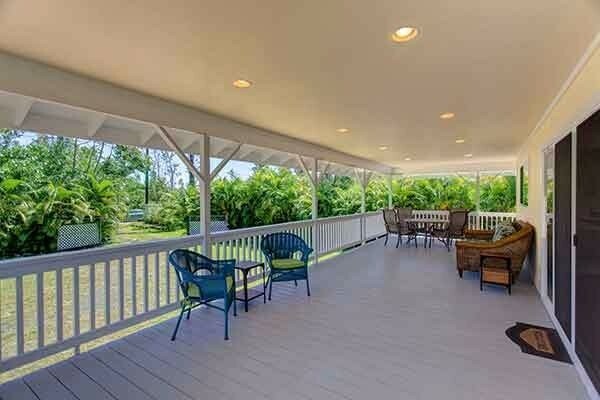 There is plenty of room for a larger table inside or go just outside to the covered lanai and enjoy your meals there. 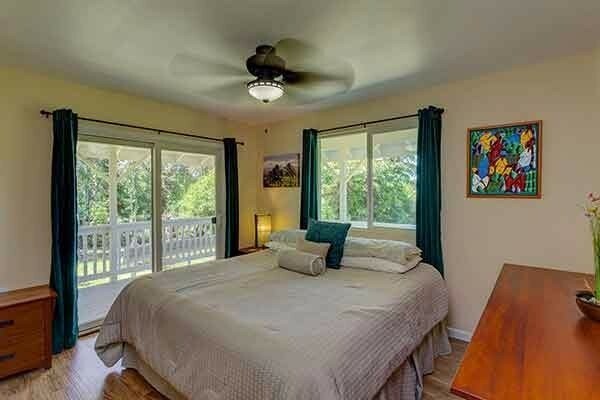 Down the short hall is the nicely appointed master suite with a full bathroom. 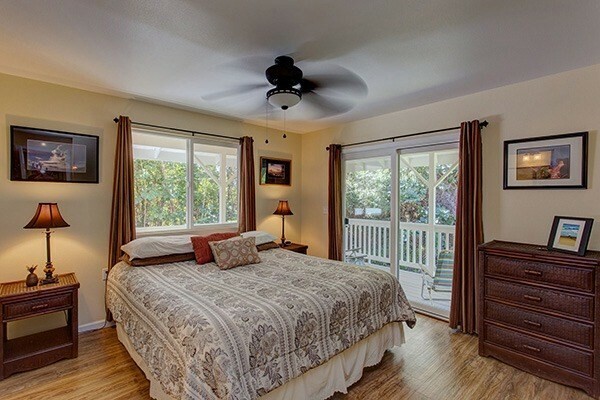 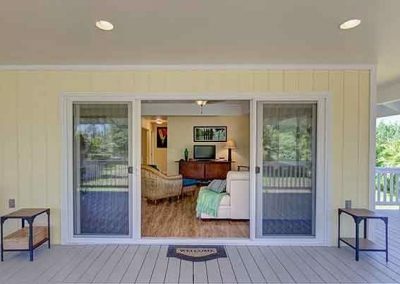 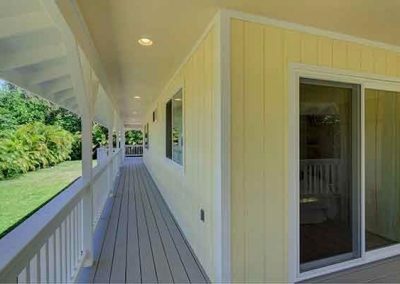 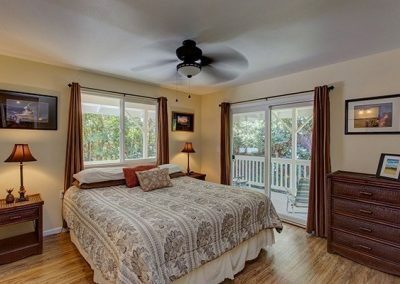 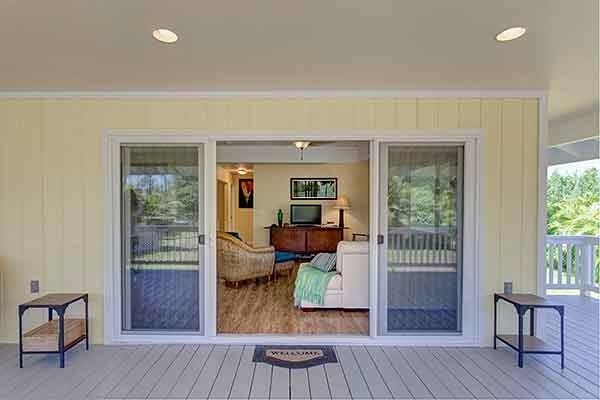 The master suite and guest bedroom each have access to the wrap around lanai through sliding glass doors. 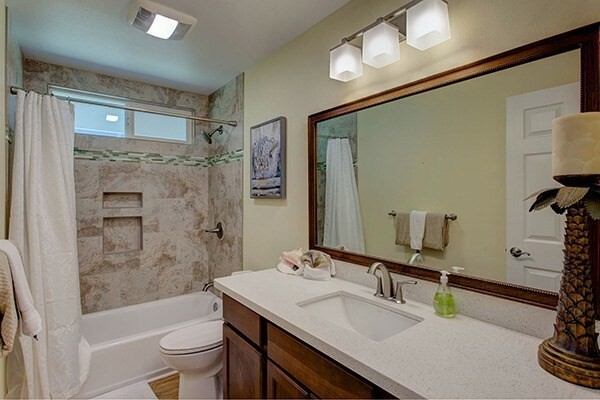 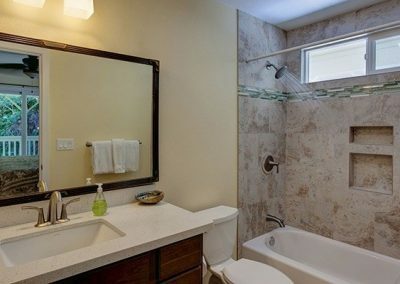 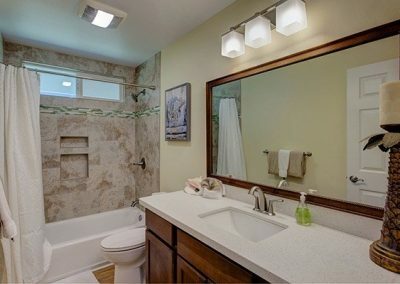 The guest bathroom, like the master bathroom, has custom tile work in the shower/tub area, quartz counter tops and wooden cabinets. 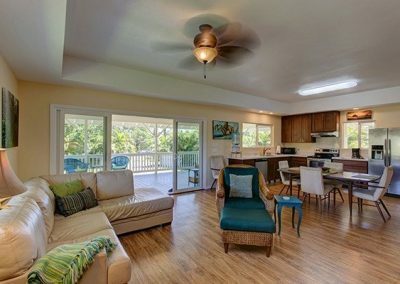 Other features of this home include a private well, solar hot water heater, easy maintenance laminate and vinyl flooring, high ceilings throughout, trimmed windows and doors, gated entrance and more! 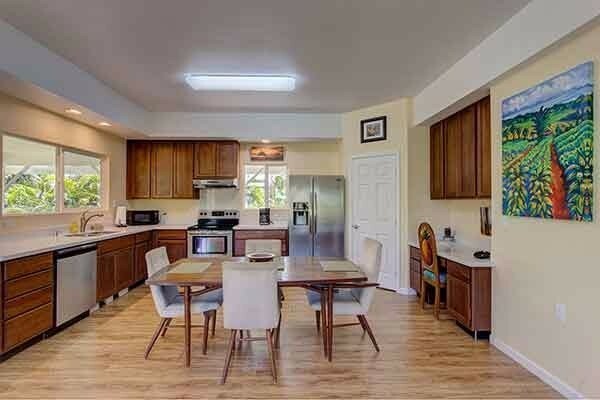 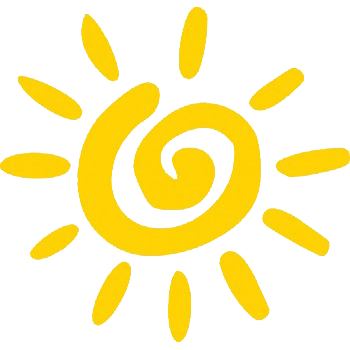 Furnishings are negotiable if you are looking for a turn-key house. 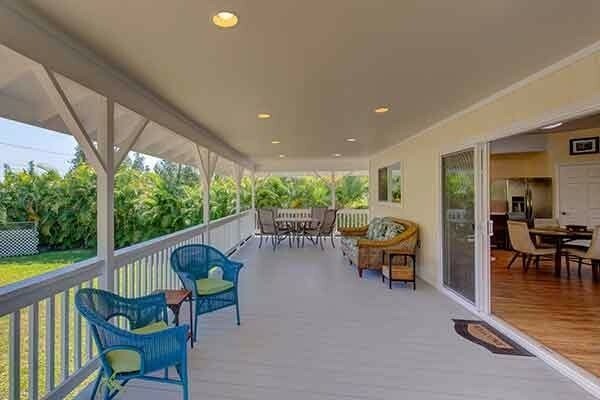 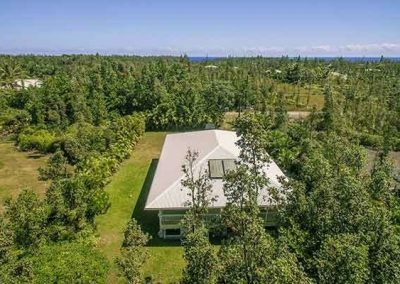 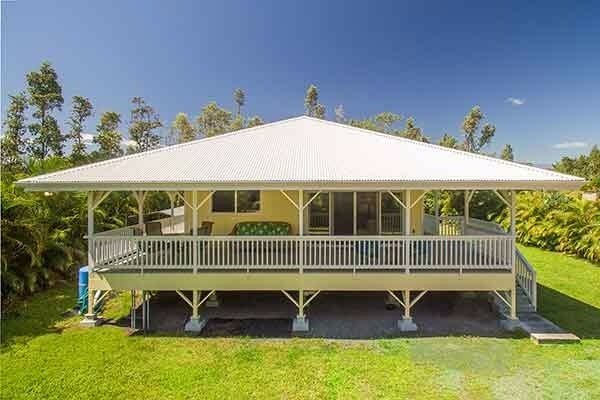 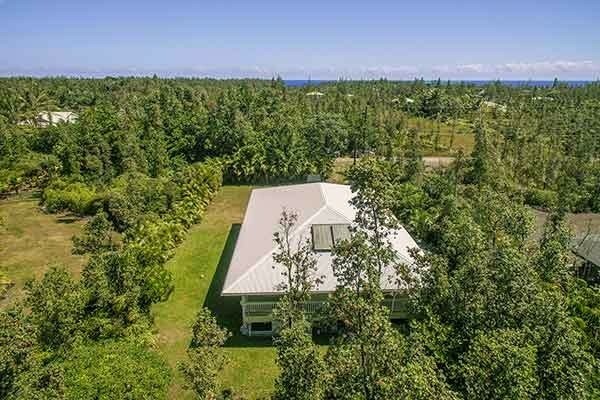 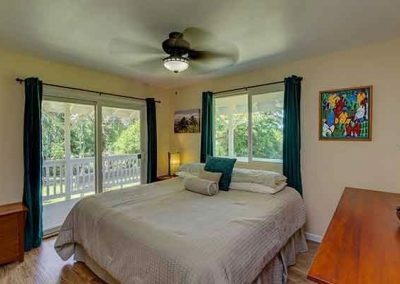 The property is literally a few minutes’ walk to the beautiful Hawaiian Pacific Ocean where often sea turtles, whales and dolphins are spotted. 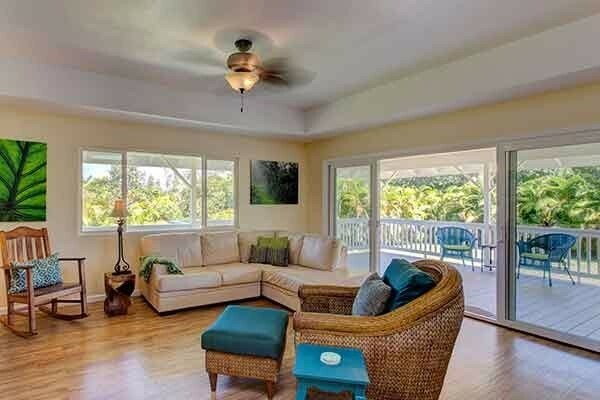 Beautiful custom houses throughout this quiet coastal neighborhood. An opportunity not to miss!